Nine Inches by Tom Perrotta — It’s been a long time since I’ve read a straight-up short story collection (i.e. not a collection of linked stories) and enjoyed it, but this one did it for me. The writing is really sharp and specific. And there’s a lot of warmth here. These characters are lost and oftentimes they’re not good people, but they’re so human that you have to feel sorry for them. Little Children by Tom Perrotta — It would be difficult to say what this story was about. I guess it’s about a bored househusband and a bored housewife who have an affair. There was something very cut-and-paste about the setting. The suburbia didn’t feel very differentiated from every other suburbia. And the characters and plot were also a little by-the-numbers. But, again, it had that warmth to it. 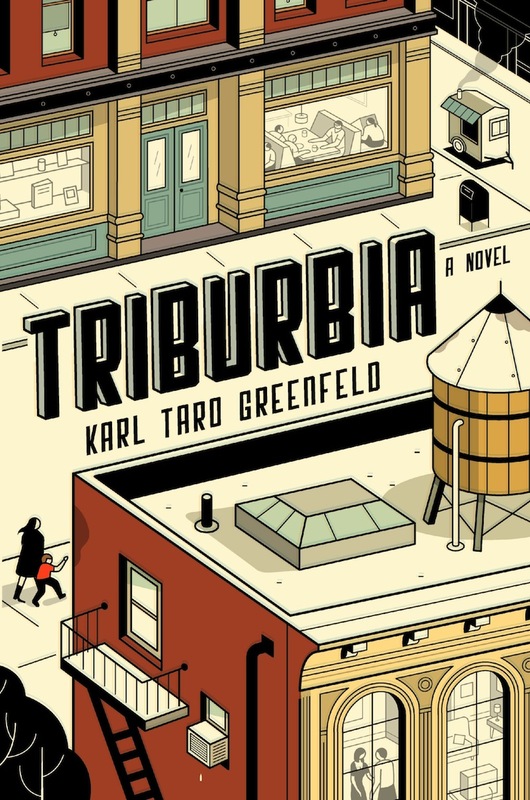 Triburbia by Karl Taro Greenfield – Was attracted to this because the author once wrote a story in Best American Short Stories that I enjoyed. It’s subtitled A Novel but it is definitely not a novel. It’s a linked short story collection about a bunch of yuppie guys (and a few women) who live in TriBeCa. I enjoyed its sharpness and its specificity and how it was not entirely sad. Nor was it as broad (with the exception of one story where a gangster is stymied by the eight year old girl who’s bullying his daughter) as short story collections can sometimes be. Anyway, I apologize, I feel as though I don’t have the energy to describe these books in much detail. Sometimes when I write these blog posts, I can actually feel myself searching for the right words, and it’s not easy. It’s astonishing, actually, how difficult it can be to express yourself truthfully. The temptation, so often, is to just lie. It’s so much easier to say something that you know how to say, even if that thing isn’t true, than it is to search for a way to say the true thing. And it’s easy to say that everyone should always make the effort to be exact and specific in their language, but I think that’s not the answer. Being exact and specific takes energy, just like everything else, and sometimes that’s not a wise use of your time. There is a certain kind of lyrical writing that I really hate; I call it “My mother was a swan” writing. I also have difficulty describing books in more detail, it happens to us all. If I try to write more I end up sounding very bland and flat. It is a problem, especially when you’ve got a low-concept book. Even publishers have trouble with this. How many books get described as “a family epic that takes us deep into the heart of love and loss.” It sounds boring as hell, but sometimes that’s all you can do.